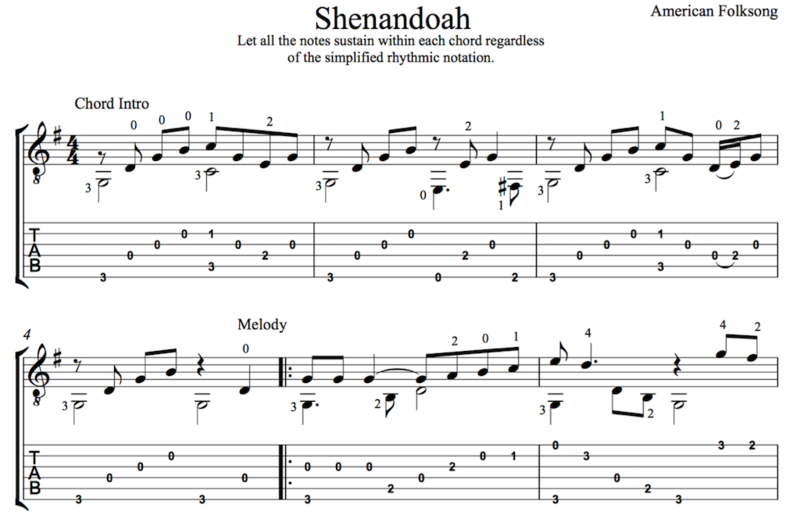 This easy arrangement of Shenandoah was created for students or guitarists playing gigs. It uses basic first position chords with the melody in the top voice. It should be pretty easy overall but check the lesson video if needed.